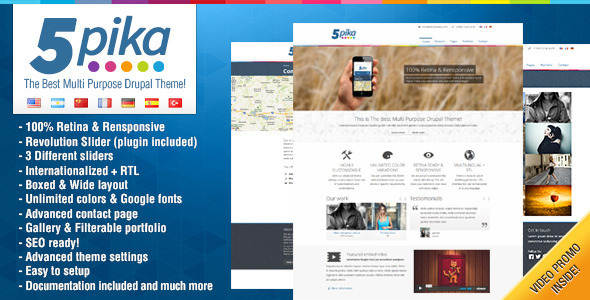 Check out the Drupal 5Pika theme. Featuring an illustrative masonry portfolio for photos, revolution sliders and wide variety of typography. The 5Pika theme includes a contact page, 'about us' and a twitter feed. Also included is a newsletter and ability to make your Drupal website multilingual. 5Pika integrates with Drupal Commerce for monetizing your website. 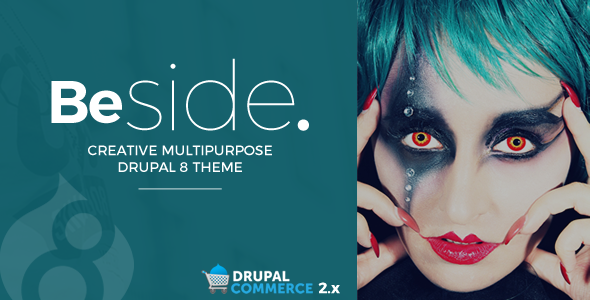 All you need for a multi-functional Drupal theme with your choice of genre. 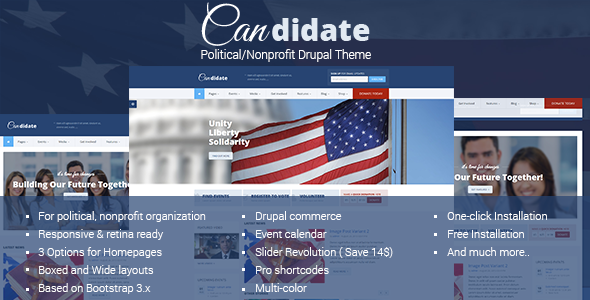 The Drupal Candidate theme, perfect for candidates running for election, non-profits. Can be integrated with Drupal Commerce for raising funds. Comes with event calendar, sliders and carousels, webform, contact page and twitter feed. Check out the super cool retail theme, Brilliant. Designed for the Drupal framework, this theme features the awesome MegaSlider and MegaMenu Module. 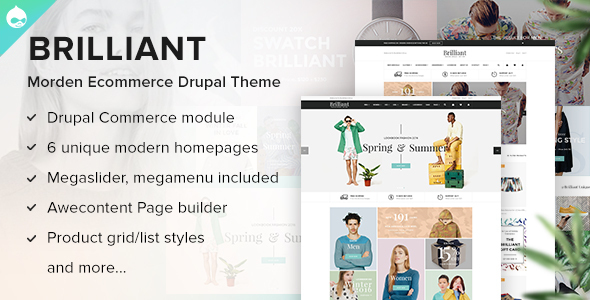 Integrated with Drupal Commerce, the Brilliant Theme includes an email list, product grid and list styles. 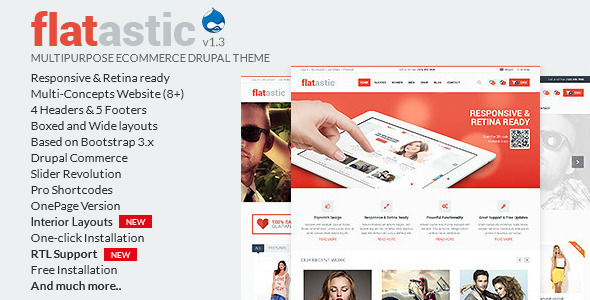 Copper multi-purpose theme built for the Drupal framework. 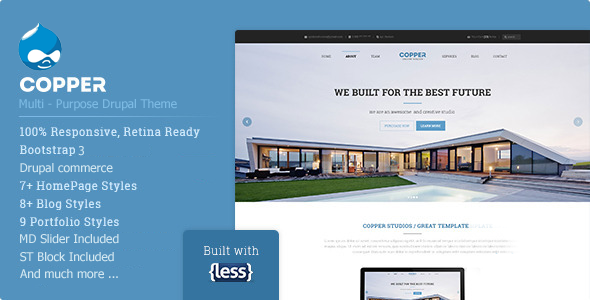 Copper theme comes with 7 different home landing pages from which to choose. 8 Blog pages, 6 shop pages, 9 portfolio pages, pricing tables, Font Awesome retina ready icons, and template wish list.